Southaven/Tupelo-Ethel Lee Rial Cook, 93, died Tuesday December 4, 2018 in Southaven at her son’s residence after having a stroke several weeks ago. One of the sweetest, most charming souls to ever traverse these parts, Ethel was born in Saltillo on November 7, l925 to the late William Thomas Rial and Fronie Mae Jackson Rial. She grew up in Sherman graduated from Sherman High School in l944 and married the love of her life, James Alford “J.A.” Cook in Tupelo on July 14, l945. To this union was born 3 sons, Jim, Dan and David. 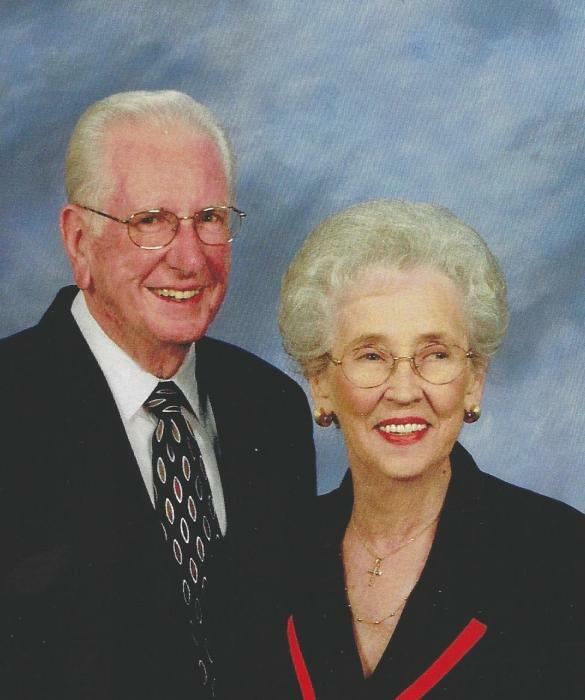 Mrs. Cook’s working life included being a master homemaker, a stint working in the milk industry with her husband and 21 years as a credit manager for Nesco Lighting of Tupelo, before retiring. The Cook’s joined Harrisburg Baptist Church in l950 and remained active until their health failed. Ethel was a choir member, a long time Sunday school teacher, Chairman of the WMU and a GA Instructor. She was a Cub Scout Den Mother for 6 years. Her hobbies included cooking, reading, sewing, collecting butterflies, walking and word puzzles. She held firmly to the promises of her faith as found in Ephesians 2: 8: “For by grace are you saved through faith and not of your works. It is the gift of God”. She has received that grace and rest from her labors. A service celebrating her life will be held at 1 PM Friday, December 7, 2018 at the Tupelo Chapel of Holland Funeral Directors with Pastor Paul Bryant and Bro. David Smith officiating. Private burial will follow in Lee Memorial Park. Visitation is from Noon-service time Friday only at Holland-which is honored to be serving their friends. Survivors include her 3 sons: Jim Cook (Rhonda) of Southaven, MS; Dan Cook (Sandi) of Port Arthur, TX and David Cook (Darlene) of Thomasville, GA. her grandchildren who lovingly knew her as MiMi; Mike Cook of Memphis, Chadwick (Kelsey) Cook of Birmingham, AL., Jason (Leann) Cook of Bryan, TX, Brent (Kam) Cook of Whitley, TX, John (Cassie) Cook of Thomasville, GA and Kelsey Cook of Villa Rica, GA.; two step grandchildren, Kayla (Ricky) Frey of Southaven and Jeff Pace of Memphis. Her great grandchildren, Timothy, Hailey, James, Layla, Elliott, Reese, Jay, Alexis, Brayden, Jace, Carter, Avery, Leo and Jonah Cook, Logan Frey and Devon Pace. Two great -great grandchildren, Jaden Ricks and Arianna Ricks. Pallbearers are Mike and Chad Cook, Mark Cobb, Jeffrey Pace, Ricky Frey and Shea Rial. Honorary pallbearers are Jason and Brent Cook. Memorials may be made to Harrisburg Baptist Church, 4675 Cliff Gookin Blvd, Tupelo, MS. 38801. The service may be viewed via www.hollandfuneraldirectors.com/Livestreaming at 1 PM Friday and for 60 days thereafter.